Lock in a great price for Hotel Carmen - rated 9.2 by recent guests. The staff is very friendly and willing to help in case of any questions. The breakfast was very good, there was plenty of food even when the breakfast time was close to the end. The same for the dinner. 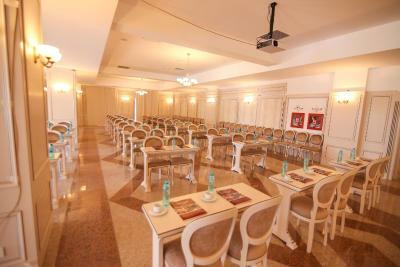 The room was spacious, very clean and equipped with all the facilities we would need. Big holways, great breakfast, they have HBO, very hot in the room during winter, pleasant people at the desk and in the restaurant, great coffee, and very clean. Good internet connection and 2 elevators, Good restaurant and room-service. Great location. The staff were also incredibly kind and accomodating. The hotel is well equipped, clean. Spa was satisfactory. But we appreciated the most the very affable staff. They were all very nice and in search for solutions to meet your needs. The hotel is very nice, Rooms are very clean and big enough. The bathroom is very clean and it has all that you need. 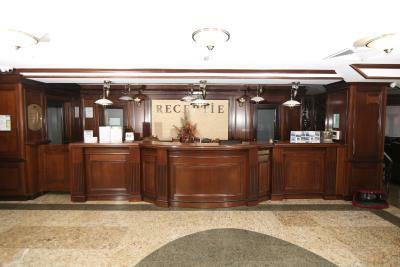 The hotel is really clean, the staff very nice and helpful. The spa area is nice, but quite small and crowded at the end of the week. Breakfast is good and they have good coffee. 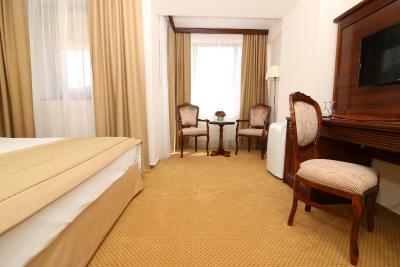 It's an elegant and comfortable hotel with many amenities. 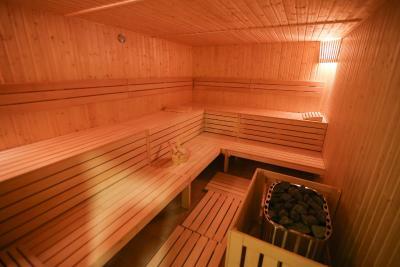 We particularly appreciated the spa (working sauna, 1.5m pool and jacuzzi) as well as the on-site ev charging station. 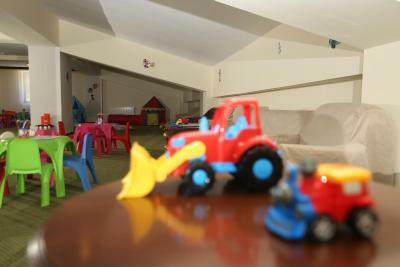 Very convenient to reach and good services for a family with small kids. We stayed in a 4* room with a balcony with beautiful flowers. The furniture is very nice and the bed very comfortable vite soft bed sheets. The bathroom was very clean and maintained clean during our stay. The breakfast was good with various dishes and very good coffee. We were particularly pleased with the dinner in the restaurant - excellent taste and perfectly done (sea food platter and lamb chops). A collection of old Romanian wines from Murfatlar is available. This restaurant should not be missed. The personnel in the hotel and restaurant was very friendly. The room price was about 30% lower than in similar hotels in the area. We will definitely come back soon. Hotel is very clean and room very nice. Location is in the center. You can park your park for free next to the hotel. SPA is included in price. We spent there really good time. Very recomended. One of our bestsellers in Predeal! 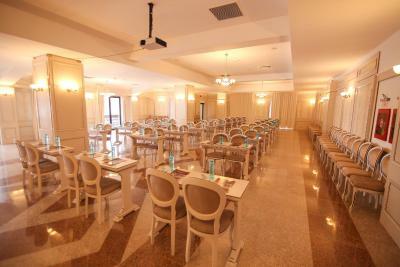 Located in the centre of Predeal, Hotel Carmen offers free access to the spa centre. 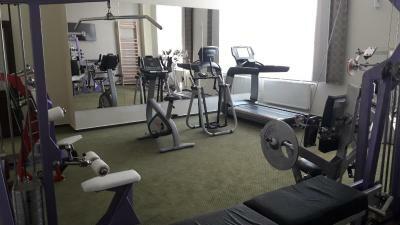 You can take a swim in the heated indoor pool, relax in the hot tub, use the dry sauna or the fitness room. The rooms feature free WiFi or an internet cable connection, a flat-screen TV with cable channels and a minibar. The bathrooms include free toiletries, while slippers and a bathrobe are provided for your comfort. Some rooms feature mountain views and a balcony. You can enjoy several types of massage or body treatments for a surcharge. 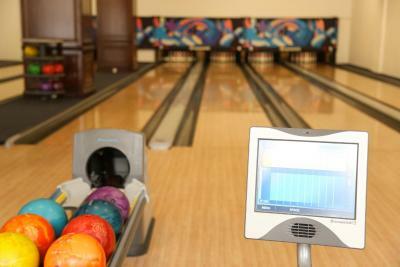 If your are looking to spend a few entertaining hours, Hotel Carmen features a bowling centre with 6 alleys. 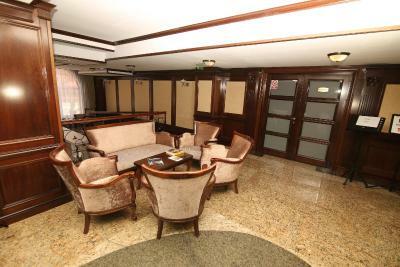 Guests travelling for business purposes will find here 2 fully-equipped meeting rooms, which can accommodate up to 500 people in total. 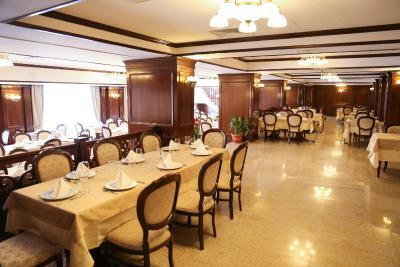 At the on-site restaurant, you can taste the international dishes, while the Lobby bar offers a wide array of drinks. For private events, this property boasts a 250-places banquet room. 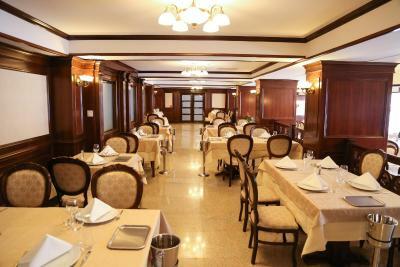 You can find several restaurants and shops within walking distance. Clăbucet and Poliştoaca ski slopes are within 0.6 miles of this accommodation. Peleş Castle is 12.4 miles from Hotel Carmen, while Bran Castle is 20.5 miles away. Henri Coandă International Airport is at 80.2 miles from here. 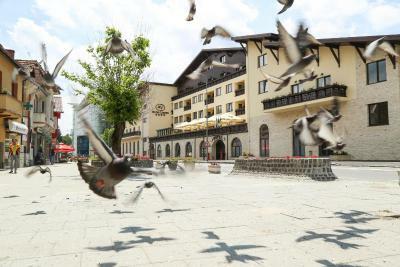 This is our guests' favourite part of Predeal, according to independent reviews. This property is also rated for the best value in Predeal! Guests are getting more for their money when compared to other properties in this city. Hotel Carmen has been welcoming Booking.com guests since 26 Nov 2016. 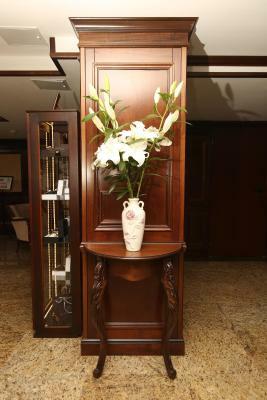 When would you like to stay at Hotel Carmen? This single room offers a cable TV and a minibar. The private bathroom features free toiletries. 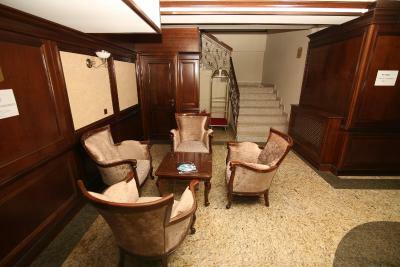 This double room features a balcony, and a flat-screen TV. A bathrobe, slippers and free toiletries are offered for your comfort. This double room has a balcony and a minibar. Free toiletries are offered. This twin room features a balcony, a minibar and cable TV. This suite features a living room and a bathroom on the upper floor, from where you can descend to the bathroom fitted with an en-suite bathroom. A flat-screen TV is available. This suite has a balcony, minibar and hot tub. 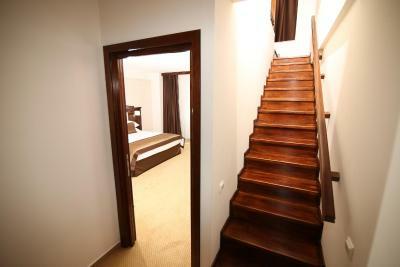 Featuring a balcony and a flat-screen TV, this room is fitted with wider doors, as well as bathroom aids. This double room features a balcony, bathrobe and minibar. House rules Hotel Carmen takes special requests - add in the next step! All children under 12 years are charged RON 93.14 per night for extra beds. Hotel Carmen accepts these cards and reserves the right to temporarily hold an amount prior to arrival. Please note that this property also accepts payments with Edenred holiday vouchers issued by Romanian established companies to their employees. The bathrooms could be cleaner with minor attention to detail. Rooms were very hot with no temperature control. Could not open windows because of noise from main road. There were not enough parking lots, we had tot search for a parking lot in the surroundings, for one of the two nights we stayed there. The duvet cover had some stains and the toilet seat did not have any label to know if it was desinfected or not. We didn't like the noise in the room (both from outside and from the bowling club and conference room) and the excessive heating in the bigger bathroom (we couldn't turn it down / off). The room which have front view (street view) are a little bit noisy. The noise comes from the road which is right in front of the Hotel, and the windows don't keep noise outside. Jacuzzi it’s was always busy when we go there .. 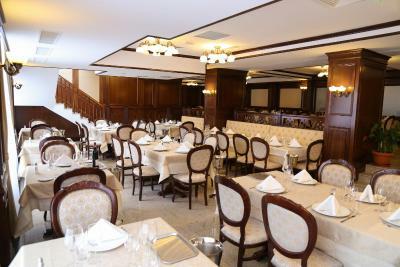 The food at the restaurant is not that great, definitely needs improvement. Not a place to have a good rest in the night. Noisy place, if the room is located up to the bowlling space either you hear each rolling bowlling ball or the music from the party. It's better to join to the party if you are welcomed. 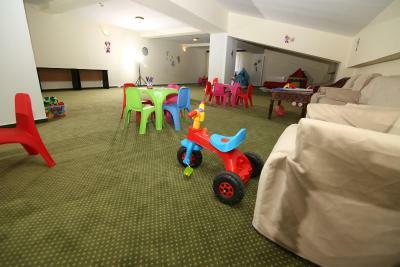 The access from the hotel to the pool is quite complicated and involves passing through some areas with no heating , which can be a problem if you have small kids. Clean, very comfortable, nice pool and a good breakfast.